I was trying out the new Enhance Details function on Lightroom 8.2, and it is working well on some images, but on other images, it creates the new file, but totally messes it up by cutting out a square in one part of the image, and then other green, blue and magenta squares of the same size are placed randomly in other parts of the image. This doesn't happen on all files (and it isn't consistent as to which files...two shots taken minutes apart with the same camera and lens, and one it won't process correctly, but the other it will. If it messes up on a file, it always messes up in the same way if you try again. It doesn't matter whether GPU processing is enabled or not. This problem was SOLVED for me by upgrading to Mojave (from High Sierra). Definitely worth it for me as I'm seeing a massive improvement in the details from my Fuji X-T2! I can't upgrade my iMac. It is too old for Mojave. Likewise, moving up to Mojave solved the problem. However the DNG conversion takes about 4 minutes on my MAC Mini (late 2014). This reply was created from a merged topic originally titled Lightroom Classic CC: Line artifacts in Enhance Details (merging). Note: This conversation was created from a reply on: Lightroom Classic CC: Line artifacts in Enhance Details. Please copy and paste all the lines from the menu command Help > System Info -- that will help troubleshoot the issue. I have almost exactly the same issue - about half of the picture is fine (and enhanced), half of the squares are black. Enabling/disabling GPU acceleration does not do anything (HD6970M acceleration is not supported by Lightroom anyways). A few people here have reported that upgrading to Mac OS 10.14 (Mojave) fixed this problem. Yes, updating to Mojave solved that problem. However on my Mac Mini (late 2014 with 16gb ram) it takes about 4 minutes to generate an enhanced DNG! "It takes about 4 minutes to generate an enhanced DNG"
﻿Most likely that's because Mac OS is using the CPU rather than your relatively older GPU (graphics processor) to do the machine-learning computations. You can verify in Activity Monitor by doing Window > GPU History. Unluckily Mojave is not available for iMac 2011 so that is not an option. I understand my iMac is dated and no longer fulfills the system requirements (no Metal support, which could well be the reason for the issue). "no Metal support, which could well be the reason for the issue"
It seems that MacOS 10.13 has bugs in its machine-learning library (Core ML) that LR trips over, and these bugs are fixed in 10.14. I.e. the issue is unrelated to whether your hardware supports Metal. Enhance Details works fine on my 2013 Mac Pro (AMD D500 GPUs) running MacOS 10.13.6. Processing times for Nikon NEFs and Fuji RAFs are between 10-20 seconds. The rendering quality of the X-Trans files is typically similar to that of Iridient Developer and Iridient X-Transformer. I can confirm that it worked for me after upgrading to Mac OS 10.14 (Mojave), appareantly bringing some updates and improvements to the Apple machine learning framework necessary for this (as I understood it, correct me if I'm wrong). BUT! Be aware that Apple cut it's support for a wide range of NVidia graphics card with the Mojave update. Although officially being 'unsupported' it has been possible before to use NVidia GPUs (e.g. in an upgraded Mac Pro 4,1 or 5,1), but after the Mojave update Apple seems to refuse to cooperate with NVidia to develop / update new drivers required, rendering NVidia cards useless. There is all sorts of complaints about this on the internet and it seems that this will be a permanent issue. For those experiencing the color tiling issue in Enhanced Details who are using Nvidia RTX series cards, a new driver has been released.The driver version that has the fix is called 419.67 (this is the term that Nvidia uses on their web site). It was just released yesterday, 3/25. Please update your driver from the Nvidia site and let us know if you continue to have the issue afterwards. Somewhat fixed and somewhat still problematic. Still have the issue with 419.67 Creator Ready Driver when viewing the file in Lightroom CC...but now when opening that same file in Photoshop CC, it renders properly. Please follow https://helpx.adobe.com/lightroom/kb/lightroom-gpu-faq.html Solution #4 to do a CLEAN driver install. If you have put in place any workarounds previously, undo it (no forcing to OpenGL). I updated my Mac Pro with a Sapphire Pulse Radeon RX 580 GPU. System Info reports: Metal: Supported, feature set macOS GPUFamily1 v3. The Geekbench performance is significantly better (*10) than the original card. I'm running 10.13.6. Enhance Details still fails with colored squares all over the image. And it takes a long time - on the order of 3 or 4 minutes. Any ideas how to fix this? As to Mojave - I saw something that said it requires "Metal 2" True? An update - I disabled Use GPU in ACR, did enhance detail - took 5:36. Then enabled the GPU, did enhance detail on the same image - took 5:36. So, I conclude Adobe doesn't use my GPU at all. No matter what the preferences are. Major Bummer. "So, I conclude Adobe doesn't use my GPU at all. " Sounds like it. You can easily verify that by starting Activity Monitor and doing the menu command Window > GPU History. glgpu.GLName="AMD Radeon RX 580 OpenGL Engine"
glgpu.GLRenderer="AMD Radeon RX 580 OpenGL Engine"
Which seems to say they 'see' it, just refuse to use it. "Which seems to say they 'see' it, just refuse to use it." Interesting. The bug is in Mojave but I'm running High Sierra. Two out of three machines I have access to - all running High Sierra - apparently have the bug but the third, an iMac doesn't. Entering the Twilight Zone here. You would need to update to the latest macOS 10.14.4 to give a try. I did update to 10.14.4. The convert time dropped to 24 seconds. Now I just need to be convinced it is actually better. So far, way to subtle for me. Curious about when to apply it - before sharpening, after? when I used a Mac Mini (2014) I5proceesor with 16Mb ram it took 4 minutes to process and enhanced detail DNG file. That same file processed on a MacBook Pro (2018) with a Radeon 560 GPU and 16Mb ram did the same in only 8 seconds!! I am convinced that a fast GPU makes all the difference. 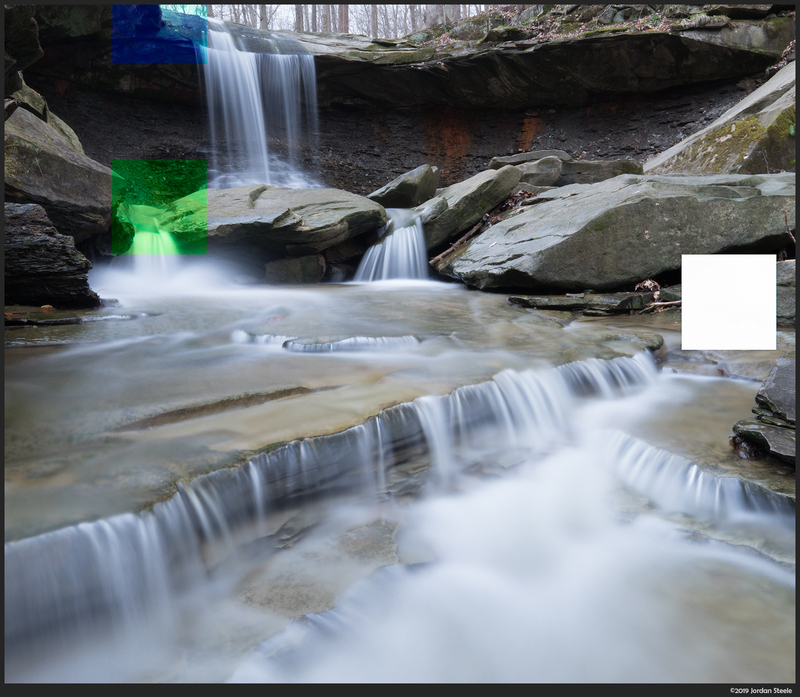 The folks at Lightroom recommend a dedicated GPU for this process.